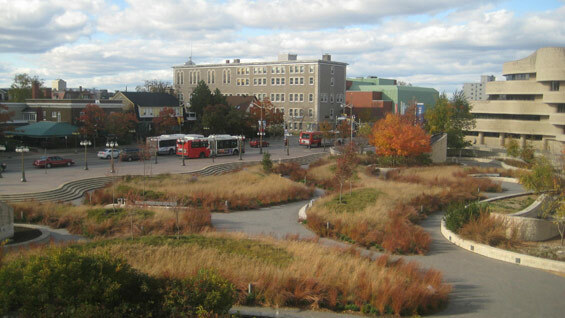 Fall view from the Museum | ©Claude Cormier + Associés inc. 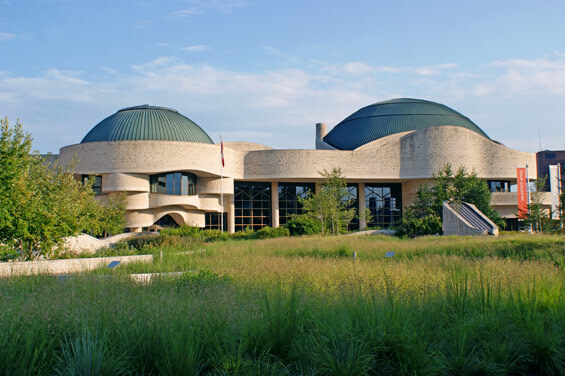 The Canadian Museum of Civilization, designed by Canadian architect Douglas Cardinal and inaugurated in 1989, is comprised of two pavilions, their architecture a startling embodiment of the country’s distinguishing geographical features. 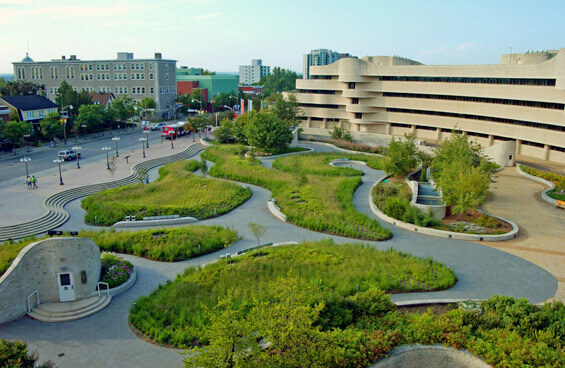 The public display wing replicates the dramatic effect of the glaciers; the contours of the curatorial wing symbolize the majestic Canadian Shield; and the open Plaza simulates the vast Great Plains. 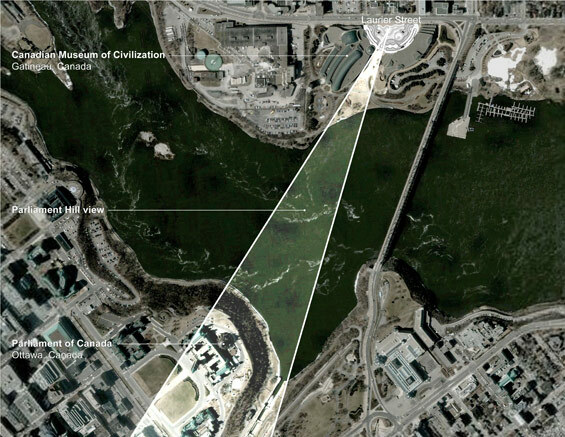 The layout and sheer size of the Plaza were planned in such a way as to visually incorporate the Museum buildings and the Parliament Buildings perched across the Ottawa River. However, the Plaza’s lack of appeal had left it empty of visitors for much of the year. 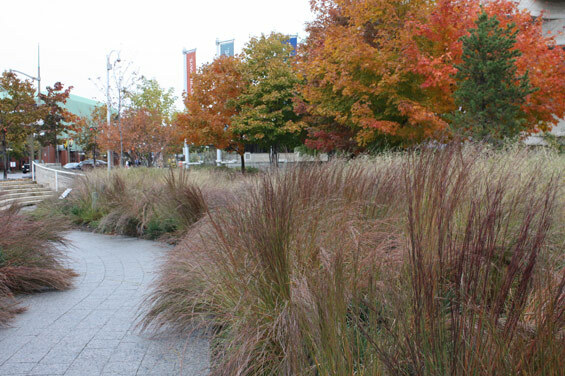 To remedy the situation, we extended the Museum’s original conceptual metaphor, bringing to life what had long remained latent: the swaying grasses of the Prairies. 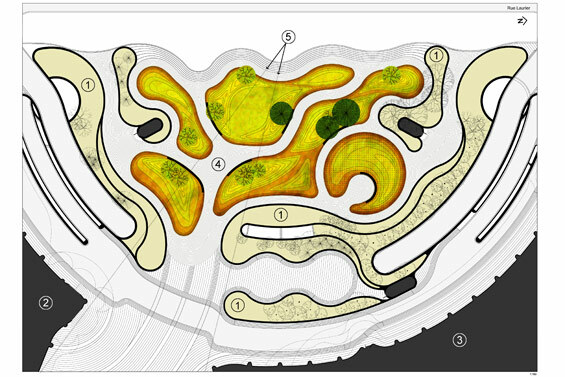 Location Map ©Claude Cormier + Associés inc.
1 Existing garden 2 Museum Building 3 Curatorial Wing 4 Plaza_Urban Prairie 5 Parliament Building view ©Claude Cormier + Associés inc. 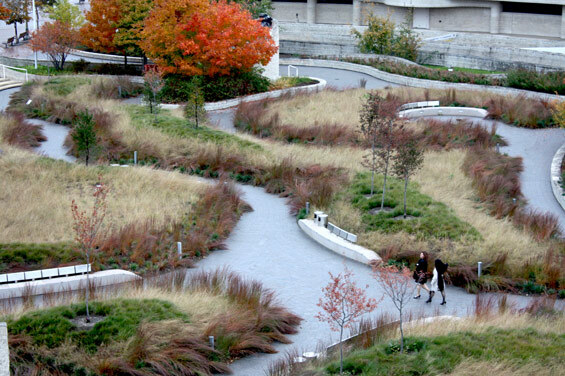 The prairie topography has been recreated through hillocks interspersed across the Plaza and wound through by snaking pathways, suggestive both of the Museum’s curves and the soft and undulating prairie landscape. 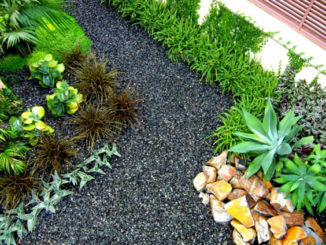 The granite paving stones hug and accentuate the gently rising mounds. 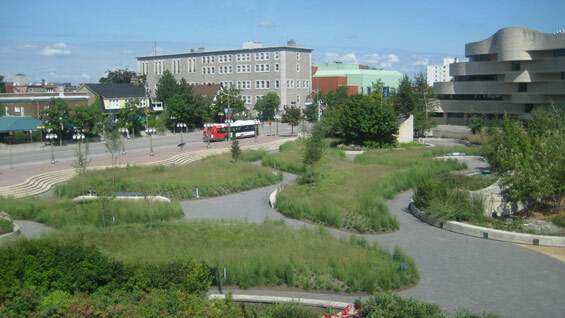 The introduction of an urban prairie to the environment creates a microclimate, increases biodiversity, lessens heat island effect, and improves air quality—in short, lures the public through an appeal to the senses, without in any way hindering the stunning view that defines the site. With an aim to enriching the visitor’s experience, our design of the spurred by the distinctive architecture of the Museum, evokes this sweeping expanse in the Canadian landscape. 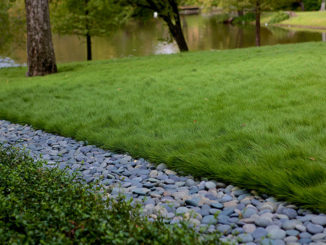 Plantation colour in fall ©Claude Cormier + Associés inc.
Fall ©Claude Cormier + Associés inc.
General Contractors: Meyknecht-Lischer Contractors Ltd.